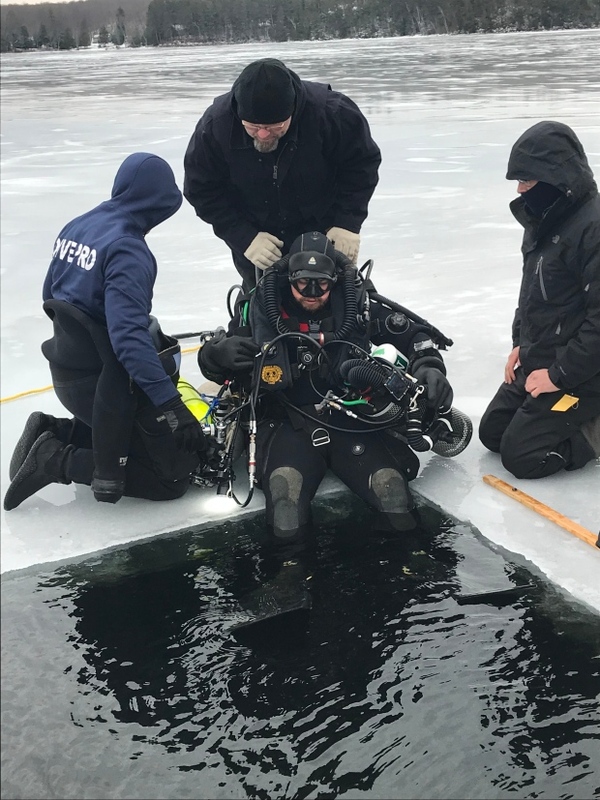 On January 27th, 2018, Kevin Brown achieved a depth of 134 meters / 454 feet diving under the ice. The dive for a research project of artefacts left by native people. It took place in the Lake Mazinaw in the Province of Ontario, Canada.